SALT LAKE CITY — Nov. 28, 2017 — A UTAH-400 Series 2 hybrid enterprise router from Utah Scientific is the signal distribution anchor aboard High Rock Mobile Television’s first-ever production truck, High Rock 1. The compact yet powerful multiformat router is the ideal complement to the 40-foot, dual-expando vehicle, designed to offer big-truck production capabilities in a smaller footprint. Bennett Engineering sourced the UTAH-400 Series 2 and provided installation and integration for all systems on High Rock 1, which was manufactured by Gerling and Associates. Since its launch in September, High Rock 1 has covered several horse racing and equestrian events, as well as track and field competitions, including NBC Sports’ coverage of the 5th Avenue Mile. 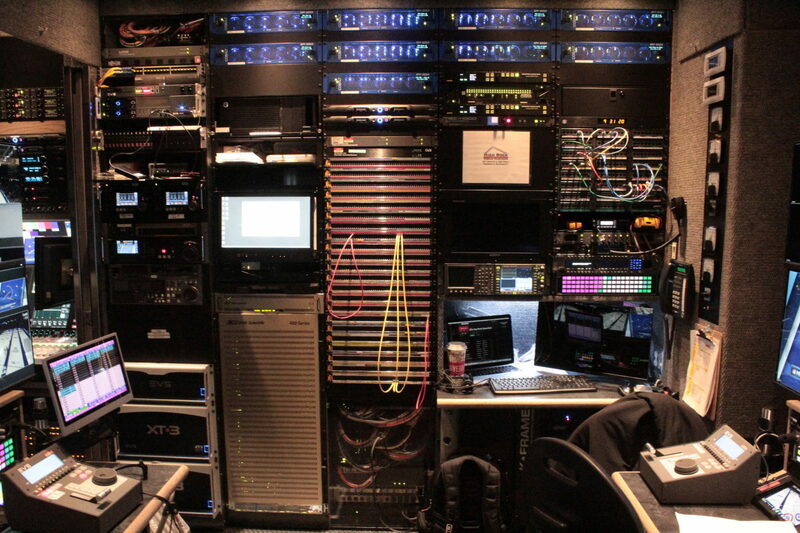 High Rock 1 can cover productions using up to 12 cameras, and it is designed for all levels of production, with specs similar to a traditional 53-foot production truck. The UTAH-400 Series 2 frame offers 528 inputs and outputs, configured as 254 x 456 for High Rock 1.